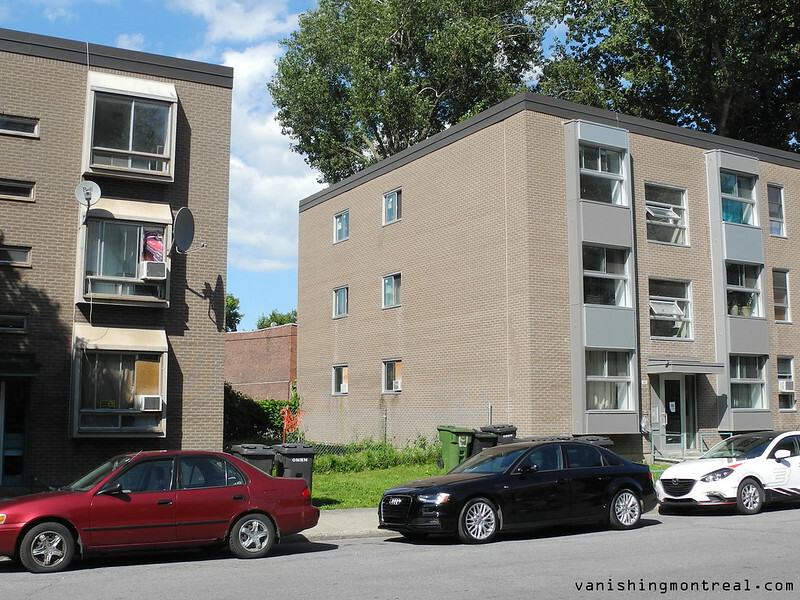 I already profiled these ugly apartment buildings here at Vanishing Montreal (see previous article). 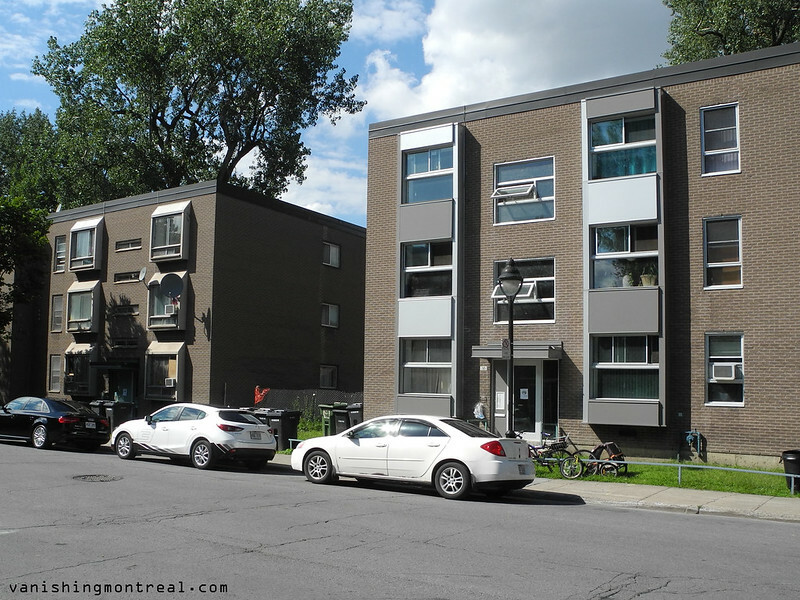 They're located everywhere in Pointe-Saint-Charles but these are on Charon street. When I was there the last time, some of the buildings were being renovated. Did the changes make them less ugly? On the left are the old windows and on the right are the renovated windows, including bigger windows in the middle. The building on the right is not as ugly as before but it's still pretty much blah. The windows are pretty much boxy, left or right. I see your point. But then again if these buildings were covered with Boston Ivy they would sort of disappear in the summer and have more "texture" in the other seasons. More trees around them too. It would be nice if the window frames had some colour to add interest.